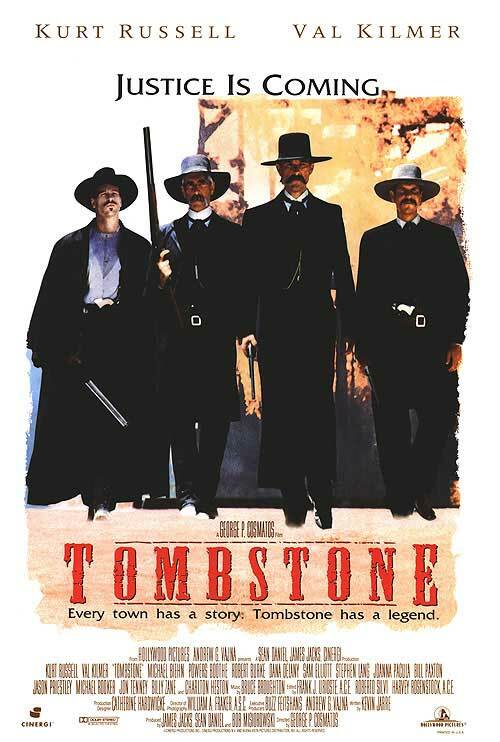 So today I'm focusing on the soundtrack for Tombstone. I'm going to start things off slow and easy, with "A Family," a tender track that highlights the bond of kinship between Wyatt Earp and his brothers as they reunite in Tombstone, Arizona, looking ahead to a happy and peaceful life with their wives. It's hauntingly sweet, especially since we know their dream of peace will be short-lived. 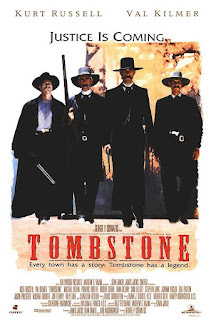 Although that sort of music usually leaves me edgy, sometimes annoyed, I do like the chaotic flavor of this because it accurately portrays the lawlessness depicted in Tombstone. This last selection is from the very end of the movie. It begins tentative and hopeful, then transitions into a joyous and frolicksome romp. This is my favorite track from the whole soundtrack, because it has all the major themes in it, and because at 2:30, in comes that chilling, wonderful drumbeat, those triumphant trumpets -- it's a fanfare, a call to arms, and a celebration all at once, and I love it. This plays while the end credits roll, so it's pretty long, and that is A-OK with me. Eventually, it ebbs back into quieter music, then ends with a bold flourish. I could listen to that theme over and over and over again. In fact, I have done just that many times. Enjoy! EDIT: By the way, A Lantern in Her Hand and Meanwhile, in Rivendell are hosting Legends of Western Cinema Week right now, and this post is one of my contributions for it. 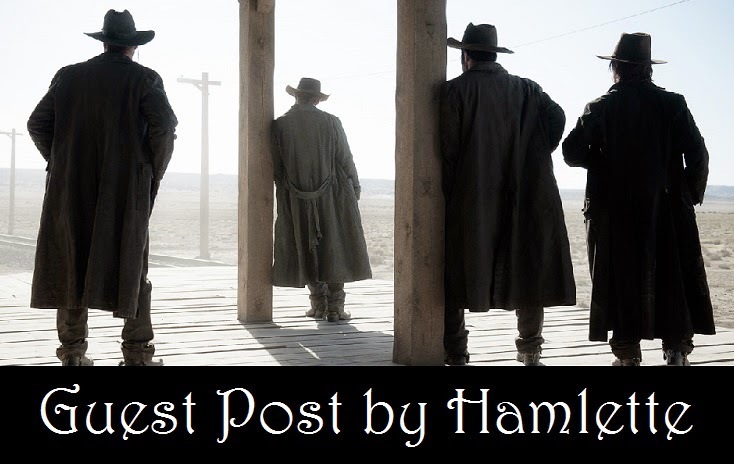 Follow the links above for lots of western movie fun!